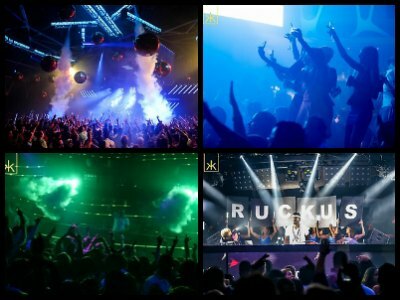 Below are the best Las Vegas nightclubs! Only here you can find world-famous DJs like Tiesto, deadmou5, and David Guetta - if you wish, on the same night! Here you can stumble upon party-loving celebrities such as Snooki, Kim Kardashian or Paris Hilton (hey, whatever rocks your socks!) You can find a club for any taste or budget, club-hop all night long, have a crazy bachelor party or order a VIP bottled service for any nightclub of your choice. XS is the ideal venue to let everything out and enjoy your evening of nightlife. Located within the Encore, XS Las Vegas mixes luxury and sensibility to form an once-in-a-lifetime dance experience. The interior is grand with adornments of gold and lively action everywhere within in its confines. The Wynn/Encore designers have created a nightclub that takes the best of Tryst and throws in an upgraded chic décor that flows nicely for guests. The DJ booth is situated in front of the outdoor swimming pool and patrons will enjoy the same experience outdoors as they will indoors. Patrons should not be surprised that the venue hosts some of the world’s best DJ’s which leads to a nightclub that is filled with several well-known people on any given night. XS Las Vegas is a place that will thrill guests in an extravagant and comfortable way. 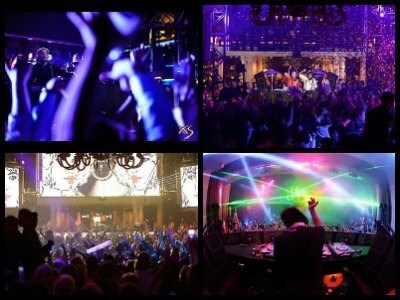 The Marquee Nightclub brings the best of the Las Vegas nightclub scene to the forefront. Located on the second floor of the Cosmopolitan, Marquee is a mainstay definition of a classic nightclub in Las Vegas with a showroom feel combined with the usual bumping and grinding on the dance floor. 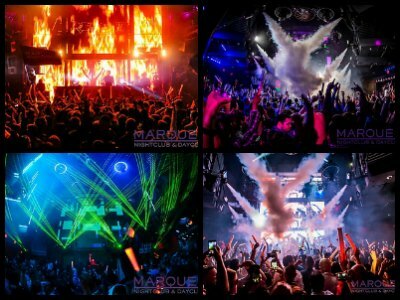 You won’t find the glamour of a New York club or the determination of a Los Angeles venue at Marquee. The Library portion of the club is perfect for that casual conversation with your dance partner and a cool libation. The Boombox area is loud and raucous with a 360 degree bar as well as an outdoor balcony. Overall, Marquee nightclub is the perfect spot for travelers looking for one place to start and end the night, no matter what time of the evening. The Omnia Nightclub is one of the hottest new additions to the Las Vegas nightclub scene. Situated in the old Pure location within Caesars Palace, the venue is another creation by the nightclub gurus from the Hakkasan Group. The space just radiates energy from the time you enter from the time you leave. The décor is packed with a no-nonsense appeal that includes plenty of tables, neon lights and a huge chandelier which moves to the beat of the music. If you are lucky try to grab a table on the second level and enjoy the spectacle of the evening. The DJ’s have shown that they know how to keep the party going with lots of smoke and featured multimedia displays. 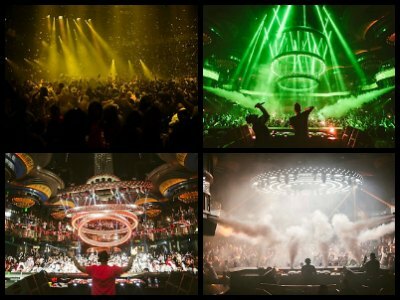 Omnia nightclub is ideal for big nightlife in the true style of Sin City and guests have been flocking to Omnia Las Vegas establishment since opening. The Hyde Bellagio is the ideal venue that brings elegance, European charm and plenty of excitement to the Las Vegas nightlife scene. Situated within the Bellagio and actually facing the magical fountains, Hyde nightclub has a subtle elite overtone with fantastic appeal to many guests. There is no dance floor and guests have plenty of space between booths to get your groove going strong. Guests can access their favorite libations at one of the two bars. One of the more fascinating items about Hyde is the fact that patrons can watch the beautiful Bellagio Fountain shows from the outdoor balcony or from a VIP booth with a large view. For guests who like to start early this club opens in the early evening allowing patrons early access. If you like the Bellagio Fountains and a chic European atmosphere of an Italian villa, then this is your spot. The Tao Nightclub is the perfect spot for patrons looking for an incredible mixture of a modern club and the ambience of a Buddhist temple. Located within the Venetian, Tao Las Vegas features an interior that is a spectacular mixture of toned down leather with a red hue and lots of Asian décor that leans heavily on statues of Buddha. The layout includes a large lounge area which has plenty of intimate and open seating areas as well as a bar. The second area is a nice dance floor which features the DJ booth as well as plenty of space to wiggle. 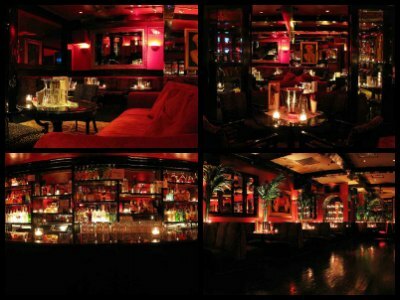 The Opium Room, which overlooks the main dance floor, contains another bar area as well as dance floor with a DJ booth. 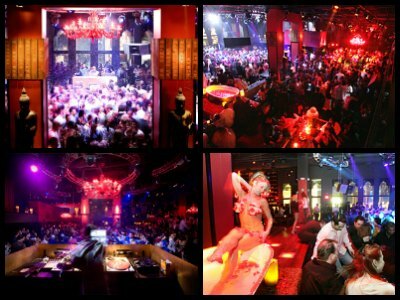 Tao nightclub is one of the highest regarded nightlife venues in Las Vegas, making Tao a must stop for club goers. Surrender Nightclub is the perfect Las Vegas nightlife venue when you are looking for indoor and outdoor space that surrounds one of the best swimming pools in Las Vegas. The venue is open year round with plenty of seating inside as well as heated cabanas in the winter. Situated within the Encore Casino, Surrender nightclub has an interior which was designed by Roger Thomas and is impeccable in taste as well as décor. The bar area is complimented by a huge red snake on the back wall which shimmers in the sparkling lights of the dance floor. Surrender nightclub features DJ booths both inside and outside as well as ample dancing space. If you are a traveler who is looking for a nightclub in Vegas that has intensity, style and gambling just on the other side of the door, then you should visit Surrender nightclub. 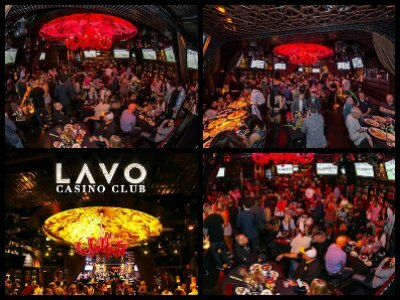 The Lavo Casino Club is a venue that speaks to the new style gambler looking for entertainment, food and music. Situated within the Palazzo, Lavo Casino nightclub is different and guests won’t find a DJ blasted music with hundreds dancing furiously on the floor or the outrageous light shows. Instead guests will find an assortment of gambling games, great food and an atmosphere that lends itself to luxury or even a James Bond adventure. There are many facets to Lavo Casino Club club that appeals to many travelers. General admission is free although the VIP packages include upgraded specialty food menus and drink specials as well as VIP entry to Tao Nightclub after midnight. Lavo Casino Club is a perfect club for people who need to entertain more than one person in a group and still offer numerous choices for entertainment. 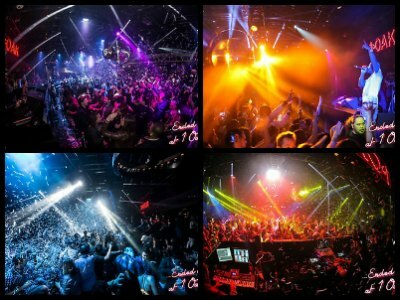 The 1 OAK Nightclub is the ideal venue for people looking for a great dance floor and not a lot of privacy. Located within the Mirage, 1 OAK Las Vegas nightclub is fashioned after its sister property in New York and has plush seating options. The club is centered on the huge dance floor which allows guests the space needed to groove the night away. The lounge and bar are set above the dance floor and offer some relief from the congestion of people. The dance floor is one of the liveliest that a traveler can find in Las Vegas. The club showcases many outstanding DJ’s and there is a plethora of multimedia effects to accompany the ear popping music. 1 OAK nightclub is perfect for the patron who does not mind tight spaces and wants to spend more time enjoying the action on the dance floor. 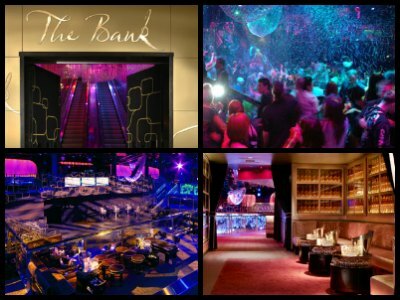 The Bank Nightclub is the ideal venue for patrons looking for a night of partying at any cost. Situated in the Bellagio, The Bank Las Vegas has elegance written all over the place. The interior is dark and the gold color highlights add to a somewhat dark Gothic feel that you might find in a child’s bedroom. The real pleasure of The Bank is its glitzy dressed to the hilt guests that have spared no expense to make sure they look their best. The dance floor is lively and the bottle service is unique with two servers being lifted tableside in a large diamond shaped bucket to pour you a perfect libation. If you are someone that is looking to impress the crowd and fellow party goers with your stunning outfit for the evening then don’t wait to visit The Bank club. The Chateau Nightclub is a great place for patrons that are looking for a sophisticated craziness within a unique venue. Located inside the Paris, Chateau Las Vegas brings the attitude of France straight the guest. The interior is fashioned after a stately French castle with large chandeliers and even ornate fireplaces. Big leather sofas help patrons feel like they are party with the entire village of the castle. The dance floor with its stylish DJ booth is on the main floor with seating available on the second level with grand views of the Eiffel Tower. There is a rooftop garden that allows patrons to bask in the spotlight of the Strip while enjoying a pleasant fun filled evening. The venue is the ideal place for party goers who are seeking a glamorous yet casual elegant atmosphere then you should visit Chateau nightclub. Drai’s After Hours will help guests looking for a little more party time after most clubs close in an unpretentious setting. Situated within the Cromwell, Drai's After Hours is everything a person is looking for in an after-hours venue. The interior is perfect with lots of red leather couches and just the right amount of darkness to keep things interesting. The dance floor is lively with lots of multimedia effects to accompany the music which is played from a state-of-the-art DJ booth. The underground location is ideal for privacy and allows guests to bump all night until they are ready for to face a new day. Drai's After Hours is the perfect establishment for patrons looking for a little something more after-hours and viewing the brilliant sunrise over the Strip is worth staying out all night. Drai’s Nightclub is the ideal venue that mixes pure fun with an upscale attitude that allows guests a rooftop view of the Strip. Located on the upper level of the Cromwell, Drai's Las Vegas is a chic nightclub and the interior is designed by famed nightclub founder Victor Drai. The star-shaped area is filled with plenty of space for patrons to mingle and dance while enjoying plenty of multimedia effects including one of the biggest disco balls in Las Vegas. 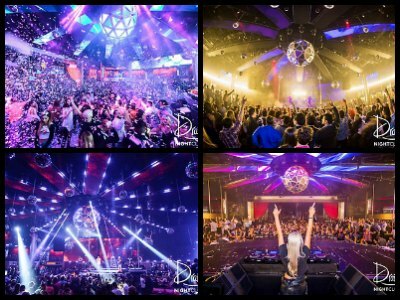 Drai's nightclub is known for having some of the best present day artists perform on stage. The best spot for guests is the rooftop area which brings out the best in debauchery and in the summer the pool area heats up quickly. Drai's is the perfect nightclub for guests looking for an upscale atmosphere that leaves the guests panting after a night on the dance floor. The Foundation Room is the ideal venue for guests who are looking more to socialize than to grind on your dance partner. Situated on the top floor of Mandalay Bay, Foundation Room leans on the side of a comfortable social club where patrons can talk about life under the sounds of music. The interior is warm and inviting with handmade rugs, fireplaces and leather sofas. There is no dance floor yet patrons flock to Foundation Room for several reasons including the clubs connection with the House of Blues and the incredible view of the Strip that is afforded by the rooftop location. Guests won’t be surprised when the rock royalty playing at the House of Blues mingle at a table next to them. Foundation Room is the perfect venue for patrons that are looking more to socialize and star gaze than to dance the night away. The Foxtail Nightclub is a perfect location for millennials looking for an urban feel and sophisticated atmosphere. Foxtail Las Vegas is located within the posh SLS and offers an allure that can only be found at The Foxtail. The interior is fabulous with plenty of street art, LED lighting and a loud sound system but has a very chic feeling. The younger crowd is happy to flash their bling at Foxtail while they dance on the huge dance floor that is surrounded by comfortable seating. 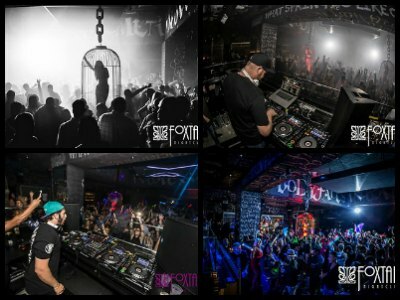 Unlike most clubs,Foxtail is not open on a regular basis which adds to mystery of the establishment. But, if you are younger and looking to impress your fellow club goers, then Foxtail is the place to spend your evening. The Ghostbar is perfect for patrons that want a view of Las Vegas without the hassle of the Strip. Located on the 55th floor of the Palms, Ghostbar nightclub has everything. The interior has huge windows to accent the spectacular view and the white painted walls adds excitement to the multimedia effects that shower the audience. The DJ’s keep the groove moving in the form a huge house party that never ends until it’s time to go home. The balcony area is unique with a glass floor which allows patrons to stare straight down while enjoying a cold beverage. Ghostbar club is the perfect spot for guests who want a view, lively music and sufficient to relax as well as dance. The Gold Diggers Nightclub is an ideal spot for guests that don’t want to unload their wallets but yet have a solid time clubbing. Situated within the Golden Nugget, Gold Diggers Las Vegas has a no-nonsense interior with all the glitz of a club in Sin City. Don’t expect a plethora of stars or well-known people hanging out at this location and you might even find a few gorgeous ladies dancing on the bar without getting in trouble. An added bonus at Gold Diggers nightclub is the patio space which is perfect for people watching on Fremont Street from a comfortable seat. Gold Diggers is the ideal nightclub in Vegas for people that want to have fun in the downtown area as well as partying the night away. The Hakkasan Nightclub is the king of night spots that allure patrons into having a great time with music, drinks and food. Located within the MGM Grand, Hakkasan Las Vegas has set the bar high for nightlife venues in Sin City. The interior is chic, upscale and lively with plenty of action as well as three distinct areas for partiers. The Ling Ling Lounge is situated on the third floor and is ideal as a private lounge with a beautiful Asian inspired décor. The Pavilion space is accented like an Oriental garden space that is tranquil in felling. The main floor has a huge dance floor with plenty of multimedia effects and the music is controlled by the world’s best DJ’s. If you are someone who wants to experience the best in nightclubs around the world, then Hakkasan is perfect for you. 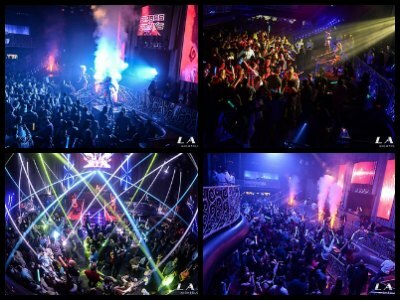 The LAX Nightclub is a great place for people looking for a mid-scale venue with an upbeat atmosphere that lends to an excellent club experience. Situated in the Luxor, LAX Las Vegas has a bit of a Gothic décor with lots of features made of intricate metals. Once inside the atmosphere becomes lively whether you bought a table or just general admission. For patrons who purchased a table you will be thrilled while waiting to enter in a private lounge with a DJ, a separate bar and seating. The venue combines an evening of part stage presentation and part dance floor. Service is superior for guests even with the dual price entry. LAX nightclub might not be as extravagant as some on the strip but the price is right and the atmosphere is top notch. The Light Nightclub is a fabulous venue that incorporates cutting edge music, dance and acrobatics into a unique Las Vegas nightclub experience. Located within Mandalay Bay, Light nightclub is the first venture for Cirque du Soleil. Guests won’t witness go-go dancers in cages and will watch a highly choreographed show to music that highlights the agility, imagination and skills of a Cirque du Soleil. The dance floor is huge with plenty of space and entertainment. The club has a plethora of well-known DJ’s that keep the audience entertained with an assortment of multimedia effects, lasers, smoke and pyrotechnics. The music will immerse patrons into a blissful joy while they watch the splendid skills of artists that range from acrobats to aerial to dance. If you are looking for a club that gives patrons something different every night, then you need to visit Light nightclub. The Revolver Nightclub is ideal place for nightlife with a nice mixture of locals and travelers who are looking for something a little different. Situated off the Strip at Santa Fe Station, Revolver Las Vegas nightclub has a décor that is full of neon lights and even has an armadillo shaped disco ball. The dance floor is massive with two-step lessons available before the club officially opens for the evening and can accommodate hundreds of swaying people. Revolver nightclub features two bar areas for patrons who are thirsty and don’t be surprised by the scantily clad bartenders who don’t mind revealing a little skin. If dancing is not your thing, then try your hand at one of the many beer pong tables. 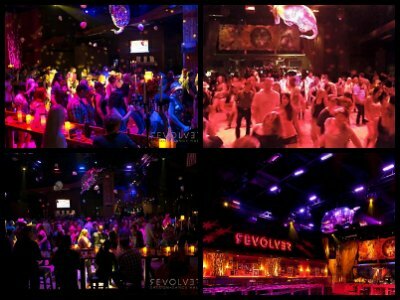 If you are a traveler looking for some place that attracts a fair number of locals then Revolver nightclub is perfect for you. The Sayers Club situated within the SLS Las Vegas is a great venue for many reasons including live music, plenty of space to relax and an appealing casual atmosphere. 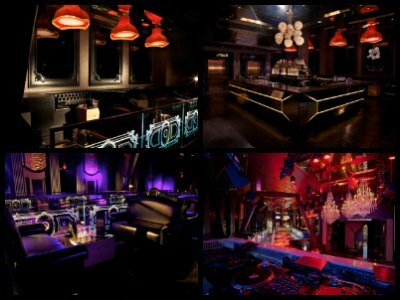 The Sayers Club Las Vegas nightclub has a nice reputation for their music which is performed by a variety of local and well-known artists. The clubs Sayers Sessions have become the finest showcase of musical talent that is available in Sin City. The Sayers Club has an ideal layout which permits patrons to have a relaxing experience without a lot of unpretentious attitude. Even though the club originated from Hollywood, the venue has a casual yet upscale appearance of an upper echelon nightclub located somewhere in the Midwest. 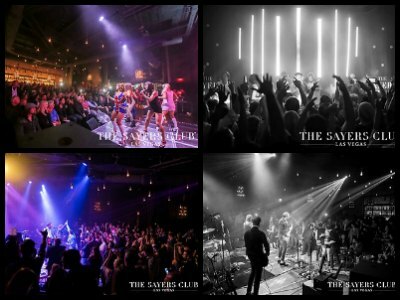 The Sayers Club is an ideal place for travelers to let their hair down while listening and watching some of the best live music offered in Las Vegas. 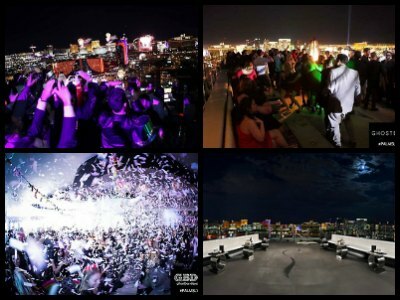 The VooDoo Rooftop Nightclub has the perfect view of the Las Vegas skyline for guests to enjoy. Situated on the 50th and 51st of the Rio, VooDoo Rooftop Las Vegas nightclub has a college house party feel with no defined dance floor leaving guests to dance where they can find space. The venue is perfect for all weather scenarios with two floors which offer an indoor and outdoor space for patrons to enjoy their nightlife experience. The nightclub has a fresh décor with booths, tables and chairs which allows guests to freely mingle with friends or make out in the corner. VooDoo Rooftop nightclub is ideal for travelers looking for a view of Sin City, an unpretentious atmosphere and a variety of space by your seats to dance. Just don’t expect to put a magic spell on someone you love or hate. Intrigue Nightclub will definitely leave guests in a state of awe as they enter the newest Las Vegas nightclub by Wynn. Situated within the Wynn, Intrigue club has the ability to let people forget about one of the more famous nightlife venues in Las Vegas for years, Tryst. The chic and upscale interior of Intrigue nightclub is spectacular with plush booths, elegant lighted curtains as well as huge chandeliers. The state-of-the-art sound and multimedia effects will have patrons dancing all night. When you a need a break from the action, take a break on the patio and watch the beautiful waterfall as well as pyrotechnic performance. Intrigue Las Vegas has something in every corner for guests whether it’s a place to dance or a place to make-out. If you are someone that was thrilled with visiting the Tryst, then this is a must do club for you. The Jewel Nightclub is an unbelievable experience in nightlife that is only brought to Las Vegas by the famed Hakkasan Group. Located within the Aria, Jewel Las Vegas has left no stone unturned in bringing an exhilarating adventure to the club scene. The interior is beautiful with intricate features like mirrored doors and bronze archways as well as VIP leather banquette style seating around the dance floor. But what really will catch your eye is the ribbon of LED lights that are located in the around the dome ceilings and sidewalls of the establishment. 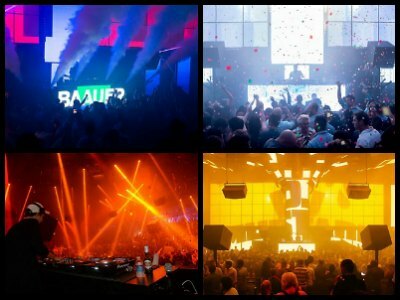 The lights are in sync with the beat of the music that is be played by some of the world’s best DJs. Jewel nightclub is ideal for the traveler who is looking for cutting multimedia effects with music that will leave you dancing until you leave.